HP's 4th of July discount coupons featured on Bizwaremagic.com - receive up to 65% storewide on popular Hewlett-Packard Envy & Pavilion systems. 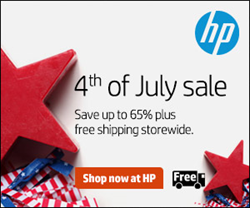 Take advantage of HP's 4th of July Sale and save up to 65% Storewide. Hewlett-Packard is offering a whole array of 4th of July discount coupons which the company claims give customers some of the lowest prices ever on HP's top products. These Independence Day coupons, where potential buyers can save up to 65% storewide, have been recently posted on Bizwaremagic.com, a small business solutions site which has been on the web since 2002. This current HP sale runs from July 2nd through July 8th, 2014. Free shipping is also offered on most items, but customers are advised to see the official HP Home & Home Office Store for all terms and conditions. 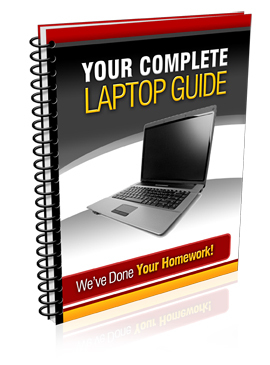 Seasoned shoppers or coupon hunters will know online HP coupons are usually divided up into four categories or groups: general, laptop, desktop and printer coupons. A few of the "General Coupons" includes getting $15 off your online order of $75 or more. Saving $75 instantly on a purchase of $999 or greater and receiving $100 instantly off on the purchase of a configurable HP laptop/desktop PC priced at $1,199 or greater. Some of the Hewlett-Packard laptop coupons include the following: Get $450 Off the HP ENVY 17t-j100 with leap motion and save $200 on the HP Envy 17t with Touch. In addition, save $200 off both the Envy 15t and the Pavilion 15t-n200. Sale desktop coupons include the following offers: Receive $200 Off the HP ENVY 700t with Windows 7 and get $150 Off the HP Pavilion 23t Touchsmart all-in-One PC. Plus, save $50 on the Pavilion 500-205t and only $329.99 for the HP 110t desktop PC. Printer coupons include the following discounts: Save 20% on Laser Printers at $399.99 or greater and get $140 Off the HP Officejet Pro 8600 Plus e-All-in-One Printer. In addition, during the 4th of July sale customers can save 15% on all scanners. As subscribers and patrons of Bizwaremagic's Laptop Buyer's Guide will know - purchasing a computer or laptop during major holiday sales such as July 4th, can result in large savings especially if they act swiftly and use the online discount coupons provided. The dedicated Bizwaremagic HP Notebook Coupons Page can be found here: http://www.bizwaremagic.com/HP_Notebook_Coupons.htm or download our comprehensive free laptop buying guide here: http://www.laptopcomputerguide.org All products/companies mentioned above are registered trademarks of their respective owners and companies.